Of primary importance to the music learning process lies the ability to listen and discriminate accurately, to concentrate and to be aware. As these are life skills, they also help in other areas of the curriculum. The aim is to introduce these skills from the Early Years Foundation Stage upwards. The lessons take an active approach, which involves singing, playing instruments and providing a foundation of musical literacy. “I really like music because I love singing”. 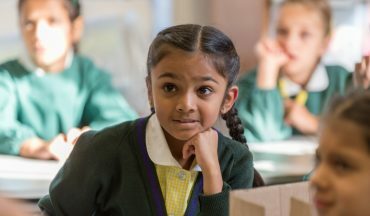 During KS2 we provide a continuance of the Foundation Stage and KS1, whilst increasing demands and expectations to provide progression. 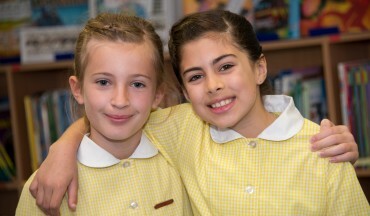 Performance plays an important part in the life of the school. 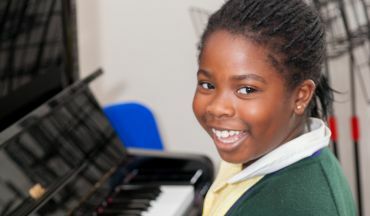 Children are encouraged to perform as soloists and in groups on a number of different instruments. They sing and take examinations where appropriate. A high standard is achieved.